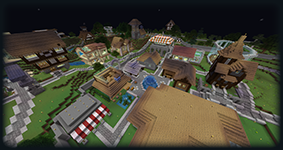 SixtyGig is a fairly old server, we've been around since Beta 1.2, roughly 5 years ago! All the while we've been a fairly popular place that mature adult players come to play. But, we keep a pretty tight hold on how many people we let do so. 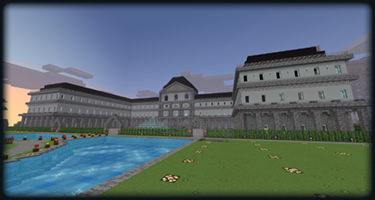 So, if you're interested in joining our server, please read this entire page. The better your application the better chance you'll have of becoming part of our great social group. We're looking for great people, not just great players! 1. Read the Rules! We assume every single member has read this page in it's entirety, "I didn't know!" is not a valid excuse! 2. Read the About SixtyGig section to see what we're all about. 3. If those pages didn't scare you away, register for an account. Your forum username must match your Minecraft IGN! If it doesn't we'll change it for you when you're accepted. Note that your account will remain in the validating state until after you have been accepted as a member, but you are still allowed to post in the Application and Public forums! 3. Head on over to the Applications Forum, and apply. The only requirements in your application is your MC IGN, your age, where you are from and why you want to join. - When you apply, the more information the better! You can check the Application Archives if you need ideas. We're a nosy bunch and we want to know as much about you as you're willing to share! 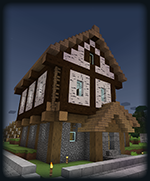 - While posting your builds is fun and helps us all have something to talk about (and yes, we'll probably chat with you!) it has no impact what so ever on your application. We don't care if you're a good builder, we're looking for good people, not good players. - We love to chat with new applications, expect replies. - You can also chat in the public forum, it helps us get to know you! - If you know any current members, be sure to mention it on your application. Friends and family have a much greater chance of getting in! - Sometimes the process is long, we usually only take in a group of players only once a month. So stick in there! You're not being ignored! Your first month is spent in "Limbo." If you are admitted to the server you will receive the green rank of "Limbonian." You'll have access to all of the maps, just as any other player, but this is a sort of probation period. 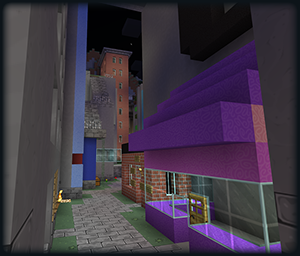 We encourage you to build and interact with the rest of the server so we can get to know you and see if you really are a good fit for us. If you're not a good fit for our server, at the end of your period in Limbo, we will delist you and send you out on your way. Most members who survive that long usually do get to stick around. If you're a real problem you'll be removed before the end of the month. All we ask is you sit back and enjoy the ride!